Filipino Group Exhibition for Independence Day | Hello Saigon! Last year, I met fellow Filipina, Jensen Moreno for an assignment for The Word magazine. This talented portrait painter is now heading up a group exhibition for Filipino artists in celebration of the Philippine Independence Day here in Ho Chi Minh City in June. The deadline for submission of application form, CV, and portfolio is on March 30, 2012. Kindly visit Jensen Moreno’s website for more information and to download the application form. Let’s celebrate our independence not with fireworks but with an awesome display of Filipino talent in the arts! 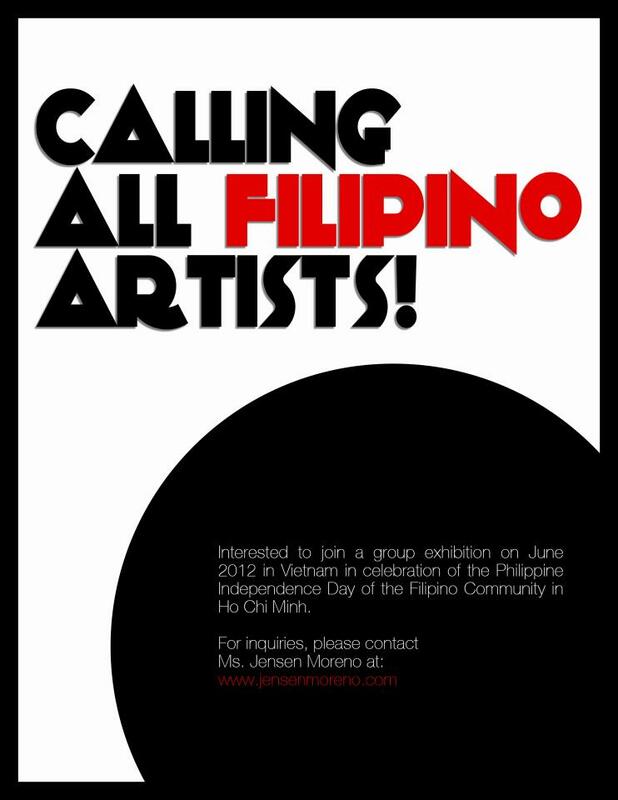 This entry was posted in Event and tagged Group Exhibition, Jensen Moreno, Philippine Independence Day. Bookmark the permalink.